It will not be long now until the world will see the not man-made monument to one of the greatest freedom fighters of the 20th century - Nelson Mandela. 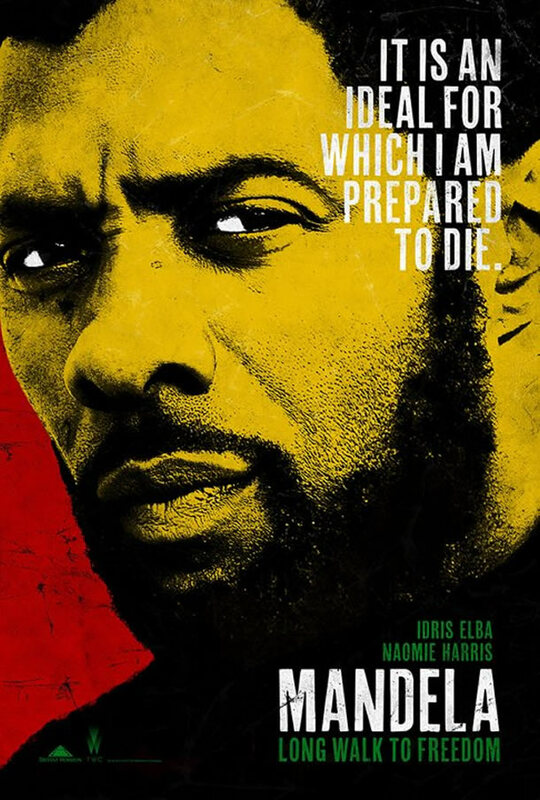 The Mandela: Long Walk to Freedom movie is not just a biopic, not simply an adaptation of great events of the past times. This tape is a masterpiece, which integrates an immense range of feelings: pain, suffering, hope, desire, passion, and most importantly - the unwavering, unbroken belief in a better life and freedom of the South Africa. The Mandela: Long Walk to Freedom is a story of man, who was more than a man. The Mandela: Long Walk to Freedom movie is a story of a man, who became a legend. The Mandela: Long Walk to Freedom movie embodies a faith in the idea, a belief that one single person can change the history once and for all. Nelson Mandela, the iconic figure of his time, was a born leader, the head of the resistance against the apartheid regime in African countries. He became the first black president of South Africa, and was his triumph over the oppression. He laid his life on the altar of freedom and equality of his people. His name over the years of his desperate struggle became a personification of the word "freedom". Twenty eight years, which he spent in prison, did not break his spirit. Virtually deprived of the communication with his wife and children, pressured by the minions of the law, downtrodden by the government – he was always stronger than the circumstances. He was willing to die for his idea and for the freedom of his people, so his had no fear, no doubts and no second thoughts. The Mandela: Long Walk to Freedom movie tells and shows us what we have heard, but never knew well enough: the actual living of the black people of that time, in that country; the fierce resistance against the authorities; the colossal human suffering, both from the point of view of the people, and from the point of view of Mandela’s family. For example, Winnie Mandela, a worthy wife of the great husband, was an ardent activist of the resistance movement, is depicted in The Mandela: Long Walk to Freedom movie more than amply. The woman piously believed in her husband’s ideas and his righteousness. She spent many years in solitary confinement, as well as Nelson, but never ceased to believe in freedom. The Mandela: Long Walk to Freedom movie is the truth about a really long road to justice and peace. It is a depiction of how both priceless and pricy freedom can turn out to be. The Mandela: Long Walk to Freedom movie deserves every bit of attention you have, because if you consider yourself a noble person, pious and intelligent, you are ought to admire the heroes of history.